The Our Lady of Grace Before & After School Program provides care for children in a Catholic environment extending the philosophy and values of Our Lady of Grace Catholic School into before and after school hours. The mission of Our Lady of Grace Catholic School can be found in the Student Handbook and on our website. The Before & After School Program serves the children enrolled in Our Lady of Grace Catholic School whose parents work outside the home. There is homework time, as well as recreation and other activities. Only children enrolled in our school from Full Day 4 Year Preshcool – 8th grade are eligible to be enrolled in our Before & After School Program. The Our Lady of Grace Before & After School Program is under the administration of the Principal. The staff members work together to help each child grow in maturity and self-respect, as well as to maintain an atmosphere where respect and understanding is encouraged. All personnel have obtained all of the required clearances. 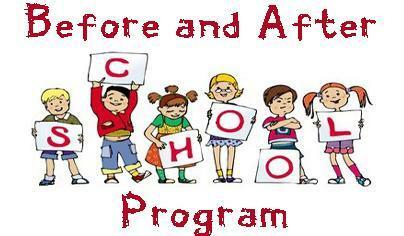 The Before & After School Program operates Monday through Friday when school is in session. The program begins on the first FULL day of school and ends on the last FULL day of school. The program is closed on school vacations, holidays, snow days, and for any unforeseen emergency that would close Our Lady of Grace Catholic School. In the case of snow delays, the Before School Program will be delayed the same amount of time as the school day. For example, on a 2 hour delay day, the Before School Program would begin at 9:00am. The Before School Program is available from 7:00 AM - 8:30 AM for students in Kindergarten -8th grade and from 7:00 AM - 9:00 AM for preschool students. The After School Program is available from 3:15 PM - 6:00 PM for students in Kindergarten - 8th grade and from 3:00 PM - 6:00 PM for preschool students. A $25 Annual Registration Fee must be submitted with your application. The application along with the $25 registration fee should be sent to school before your child attends the program. New this year, we have a monthly registration form that all families who will use the Before & After School Program must fill out and submit by the due date. This ensures adequate staff coverage.